While craft breweries dabble in the concept of terroir, that “taste of place” traditionally embraced by wineries, today’s craft cider makers also use local products to ferment their beverages. In a major U.S. apple-producing state, ranking sixth in the country in apple production, Virginia orchards provide cideries with plenty of local product. “One of the unique things about apples grown in Virginia is that they are super sweet, so our ABVs are a little bit generous compared to other cidermaking regions in the country,” explains Courtney Mailey of Richmond’s Blue Bee Cider. Blue Bee was the first Richmond-area cidery, joined this year by Buskey Cider and Courthouse Creek Cider. In the craft beverage scene, which values diversity, quality and supporting local businesses, these cider makers have demonstrated that their hard beverage fits the bill. Craft beer drinkers, accustomed to a multitude of options for their drinking pleasure, may assume that a simple apple-based fermented beverage will be one-dimensional. Fortunately, that assumption would be wrong. Contemporary craft ciders range from dry to sweet, made using a range of apple varieties, which vary in taste much like malts and hops. As in beer, the choice of yeast can affect the final taste. Adjunct ingredients and barrel aging expand palate-pleasing options further. Premium craft cider doesn’t use added sugar (called chaptalizing) or add water to achieve a specific ABV – you get what the apples and yeast provide naturally. Blue Bee’s most popular year-round ciders are Aragon 1904, a blend of modern and heirloom apples that create a light, crisp, off-dry cider; and Harvest Ration, a dessert cider made from bittersweet apples. Several creative ciders – all Virginia firsts – highlight the drink’s variety: ciders that are hopped, infused with wild mulberries, and smoked, plus a ginger-infused apple wine. Single-varietal ciders include those made with rare apples, including Hewe’s Crab and Harrison – the first recorded commercial production of Harrison since the early 1800s. The release of Hewe’s Crab cider reflects Mailey’s fondness for history, since this apple cider was enjoyed by Virginia-based founding fathers Thomas Jefferson and George Washington. Though the apples became nearly extinct, an orchard near Williamsburg rediscovered it. At a recent Virginia Historical Society event, guests enjoyed Blue Bee’s Hewe’s Crab cider paired with an episode of AMC’s hit series TURN: Washington’s Spies, the Revolutionary War-era drama filmed in Virginia. By late summer or early fall, Blue Bee will move to a historic stable complex in Richmond’s Scott’s Addition neighborhood, expanding production from 3,000 cases per year up to 12,000. Besides the tasting room and Richmond-area restaurants and retailers, Blue Bee ciders are available in Northern Virginia and D.C., Hampton Roads, Charlottesville and the Shenandoah Valley. From the orchard, Buskey apples go to the Andros fruit-processing plant in Mt. Jackson, Virginia, where they are crushed and blended to just the right pH and sweetness. From there, the juice is shipped to Buskey’s cidery, to be made into a quaffable fermented beverage. The goal is to offer a variety of ciders in the tasting room and to have approachable ciders for distribution, approachable in flavor and price point. Buskey’s cider maker, Alec Steinmetz, will focus on providing variety in the line-up by using different yeast strains (including some Belgian yeast strains that thrive in lower pH), added flavor ingredients and process distinctions to complement the apple flavor. 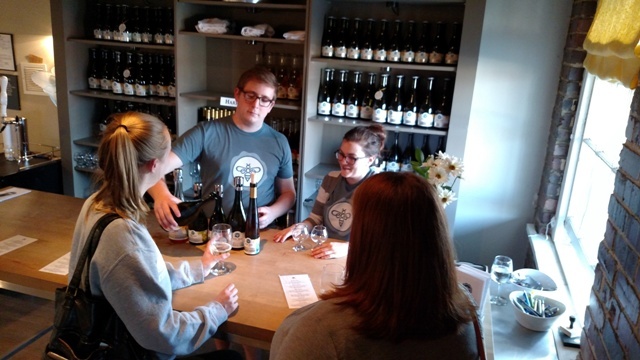 The cidery opened with the semi-sweet RVA Cider; the drier 45 and Trying cider; an unfiltered cider; a Citra dry-hopped cider; a tart cherry cider; and an unfermented nonalcoholic apple juice. In the works are ciders fermented with staves from Williamsburg Winery red and white wine barrels. The Scott’s Addition tasting room will also feature rotating randalls, like the Cinco de Mayo infusions of jalapeño lime and tart cherry lime. 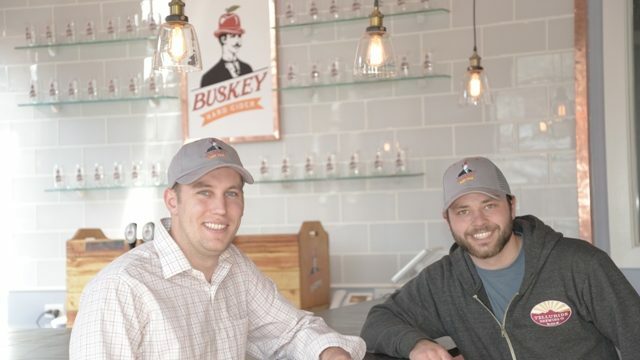 Distribution initially is on draft only around Richmond, but Correll hopes to have canned Buskey cider available in time for Fourth of July celebrations. In contrast to Blue Bee and Buskey, Courthouse Creek Cider rests on 10 acres in the countryside. Owners Eric and Liza Cioffi seem as passionate about the fruit trees on their Goochland property as they are about their cider, from the Asian pear tree that was already there to the 730 trees they’ve planted. Their orchards now boast more than twenty varieties of apples and pears (for making perry, the pear equivalent of cider). “We’re taking a holistic approach to growing. Though we won’t pursue organic certification, our practices are low impact and sustainable,” Eric says. Low-impact techniques include a chicken and duck pest patrol. Liza explains that some stress is good for the fruit, that the best cider apples may be “ugly apples,” not the pretty-but-less-flavorful eating apples often found in stores. The Cioffis started their fermentation program using apples from other Virginia orchards. In May, their first cider went to market – literally – at the Saturday South of the James Market in Forest Hill Park, packaged in 750- and 500-mL formats. The first cider they introduced to the market (as cider maker Eric nervously awaited each sampler’s reaction) was Honest Farmer, a bottle-conditioned blend of seven apples aged in rum and red wine barrels. Next up is Bella Vita, infused with raspberries and ginger. 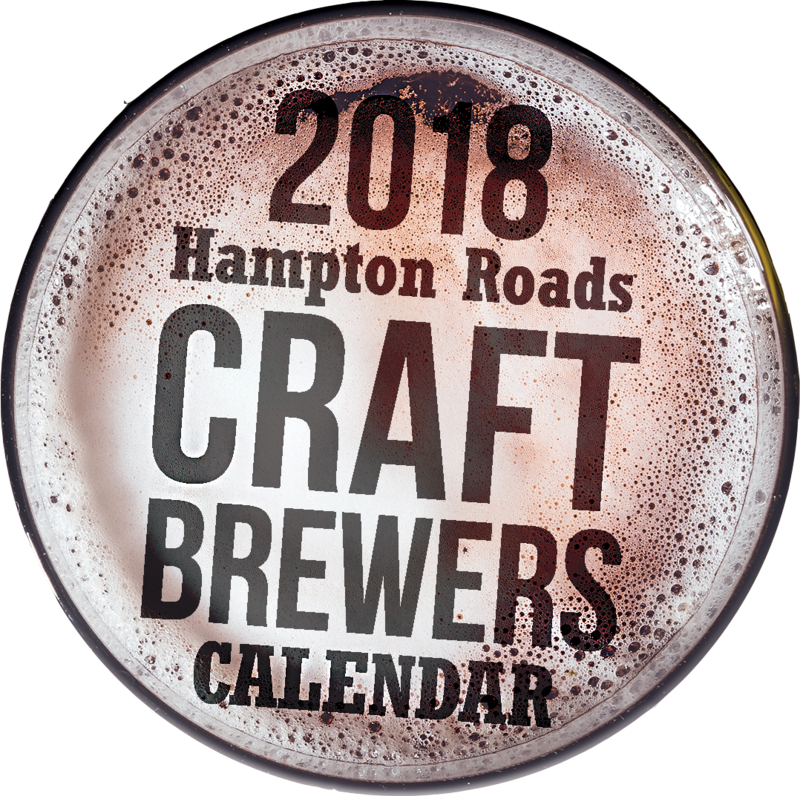 Other ciders in the works include one with sloe berries (think sloe gin), one aged in red wine barrels, a lime-touched summer cider, and possibly a cider with yeast cultivated in their orchards by RVA Yeast Labs. 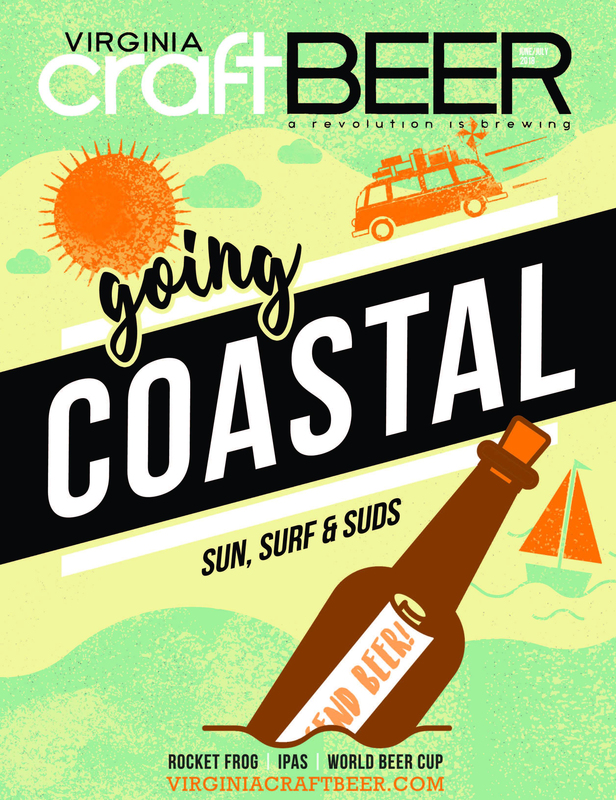 Besides the Saturday market, Courthouse Creek plans local distribution and tasting room visits. Eric and Liza Cioffi articulate a mission that can apply to the region’s other craft cider makers, too: “Our goal is to produce ‘heartfully crafted Virginia cider.’” After all, Virginia is for lovers! Virginia Association of Cider Makers, a new nonprofit membership organization for licensed cider producers in Virginia. Website is expected to be ready by June or July.